About ten years ago, the first serious applications of concept lattices in software analysis were published. Today, a wide range of applications of concept lattices in static and dynamic analysis of software artefacts is known. 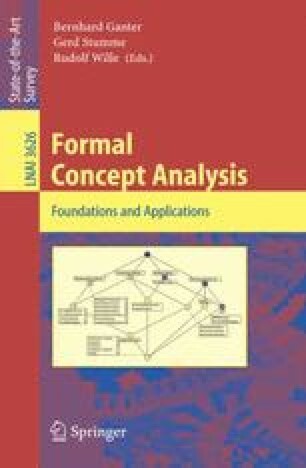 This overview summarizes important papers from the last ten years, and presents three methods in some detail: 1. methods to extract classes and modules from legacy software; 2. the Snelting/Tip algorithm for application-specific, semantics-preserving refactoring of class hierarchies; 3. Ball’s method for infering dynamic dominators and control flow regions from program traces. We conclude with some perpectives on further uses of concept lattices in software technology.